Nonfatal injuries and illnesses among U.S. workers declined between 2015 and 2016, according to the U.S. Bureau of Labor Statistics. But on-the-job deaths increased by 7 percent, reaching the highest number of fatalities since 2008. The most worker deaths occurred in Texas, followed by California and Florida. Nationally, truck drivers and sales worker/drivers experienced the most fatalities of any occupation, accounting for 918 of the 5,190 worker deaths in 2016. In fact, transportation-related deaths accounted for 40 percent of all worker fatalities in the U.S.
Construction Worker. According to the federal Occupational Safety and Health Administration, one in five worker fatalities in 2016 were in construction. Common accidents include electrocutions, being struck by a falling object, and falls from scaffolding, roofs and ladders. Many accidents occur because workers are not properly trained or supervised. Many employers also fail to provide workers with necessary safety equipment like hard hats and harnesses. Farm Worker. The industry with the highest rate of fatal injuries in Florida is agriculture, according to the U.S. Census of Fatal Occupational Injuries. In 2016 there were 41 deaths for every 100,000 full-time farm workers. Farmers can die from tractor rollovers, grain suffocation, electrocution, deadly fumes, and getting caught up in dangerous farm equipment. Factory Worker. Like farm workers, factory workers must often contend with dangerous equipment and toxic chemicals. Another problem inherent in factory work (and the trucking industry) is long shifts and repetitive tasks, which can lead to worker fatigue. When factory workers are fatigued they may lose focus and make a deadly mistake. 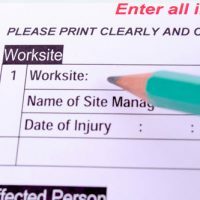 Many people believe that an actual accident has to occur and in many cases the repetitive nature of a particular task results in a work related injury and is a valid workers’ compensation claim. Groundskeeper. The second highest number of worker fatalities in Florida in 2016 were groundskeepers, who are often exposed to harmful substances. A 2011 report conducted by the U.S. Centers for Disease Control and Prevention found that groundskeeper fatalities are also caused by electrocution, drowning, falls, transportation accidents, and equipment-related accidents. If you have suffered an injury, or a loved one has been killed, while working in any occupation in Florida, contact an experienced workers’ compensation attorney today. OSHA inspectors enforce federal health and safety requirements in the workplace. But 40 inspectors have left the Occupational Health and Safety Administration since President Trump left office, according to an NBC News report. As of early October, none of those vacancies had been filled. Unfortunately, even before these departures regional OSHA offices were already understaffed. The southeast region, which includes Florida, lost the most inspectors. Fewer OSHA inspectors could mean more workplace safety violations and lead to more worker injuries and fatalities. Contact one of our workers’ compensation attorneys at Ganon & Hessen, P.A. today if you have been injured on the job, or if a loved one has been killed on the job, in West Palm Beach. We will determine your eligibility for benefits and help recover the compensation that you are entitled to receive under Florida law.